The Kosciusko County Solid Waste Management District Board of Directors hears a report from County Auditor Michelle Puckett. WARSAW — A severed business pact between the state of Indiana and a multi-state recycling firm will likely end up costing the Kosciusko County Solid Waste Management District thousands in rising costs of recycling electronics. 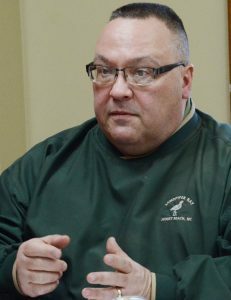 Tom Ganser, KCSWMD director told the district’s board of directors Tuesday, March 20, that Advanced Technology Recycling based in Pontiac, Ill. lost its contract with Indiana for taking electronics. The board had previously voted to provide amnesty for electronics recycling, meaning residents can bring items such as televisions and other electronic items in without paying a fee. This decision was spawned when the local district contracted with ATR and saw a dramatic decrease in price. Ganser told the board that the district currently pays about $500 per load of recycled electronics. He projects the Kosciusko County Recycling Depot will recycle approximately 340,000 pounds of electronics in 2018 which translates to about 17 loads. Based on the main two bids received, the price could rise from $500 per load to several thousand. “It could triple or quadruple,” Ganser said. District board member Brad Jackson said the amnesty should stay in effect for the time being. In other business, the district board agreed to pursue a Public Employee Retirement Fund for all members of the depot. 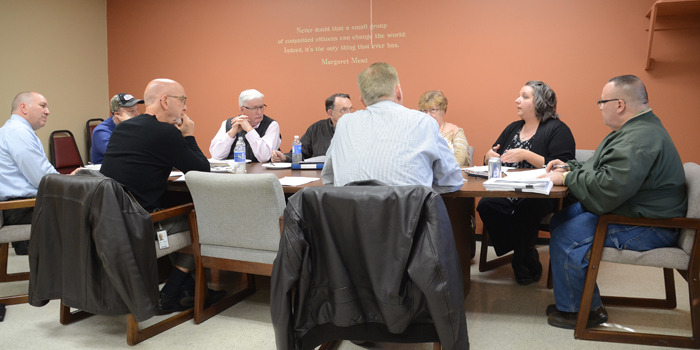 The proposal will be brought to the Kosciusko County Council at a future meeting.